The farm’s star employee — the top cow — has many attributes that set her apart from herdmates. I’d come to expect the unorthodox from Don. 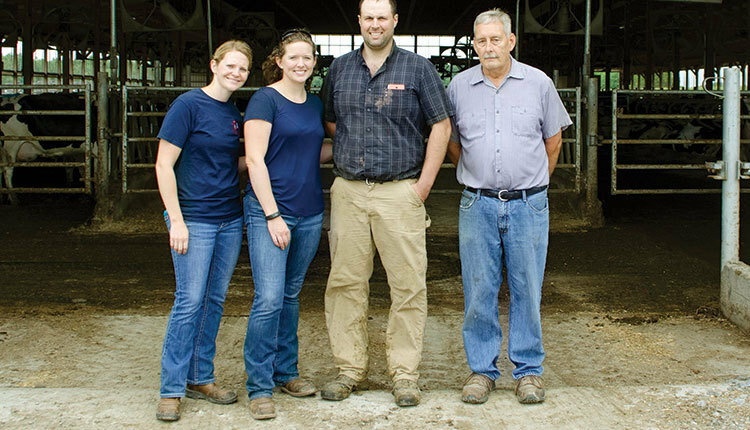 Hard driving, able to think outside the box, Don made great strides in turning around a large, troubled dairy operation. So, it was with some surprise when he announced one morning that he was naming an employee of the month (EOM). 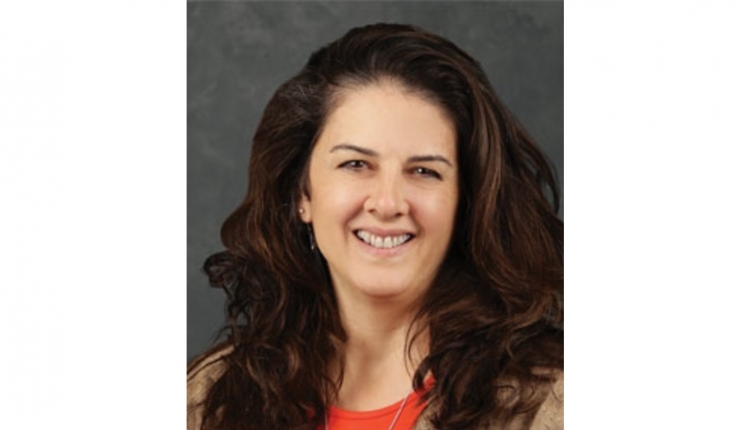 If there is a routine, stale, and mundane accolade for employees, being named EOM is it. Typically, the boss posts your photo in the break room; perhaps you are given a certificate, exchangeable for a cup of coffee at Starbucks. This is about as good, and exciting, as it gets. However, my surprise turned to astonishment when Don’s employee of the month turned out to be a . . . cow. He handed me a printout of cow No. 30976’s most recent milk test. She had produced 197 pounds in one day. He also showed me a DairyComp 305 report listing her previous lactations. This fifth-calf cow had gone from 100 percent relative value in her first two lactations to 130 and was now 140. In today’s typical dairy, where cows barely last two lactations, she is a survivor, “Exhibit A” of the value to the dairy of cow longevity. 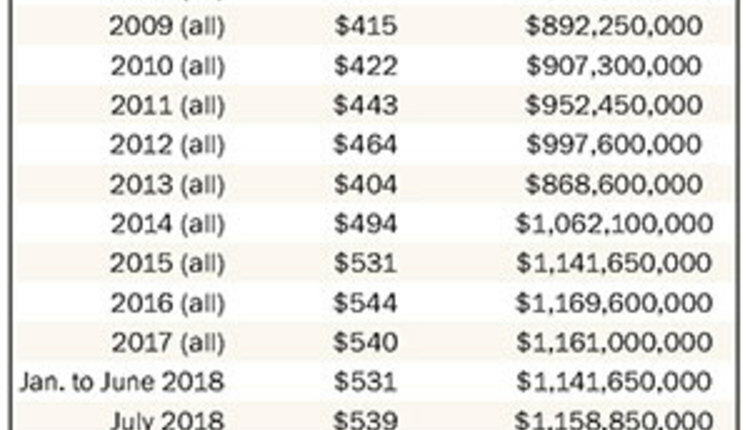 As I reviewed Cow 30976’s records, I wondered: What would have happened had we instead deemed her merely “average” and culled her three lactations ago? After I got over my surprise, and laughter, I admitted to Don that his choice to recognize a cow rather than a human made perfect sense. The business maxim that “everything happens through people” is no doubt true on Wall Street. But on the dairy, everything really happens through the cows. Discovering the very best cow in your herd can be a bellwether, metric, or benchmark of how your herd is being managed overall. 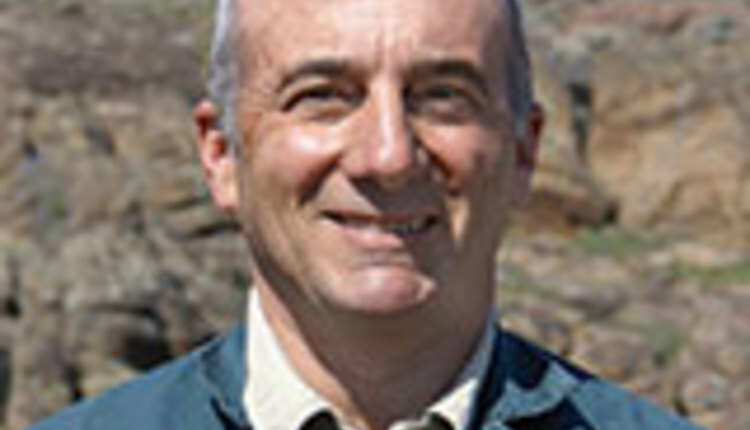 Production, or phenotype, is the interaction of genotype and environment. A high or stellar performer results from the alignment of good management and good genes. What qualifies a cow for employee of the month status? Milk production contributes the most weight. After all, employees generate value for the company by producing a profit. I’ve had dairymen tell me admiringly of cows that have made 100 pounds per milking. This is over almost 12 gallons of milk from the udder passing through her teat sphincters in just a few minutes. One hundred pounds per day is an impressive enough achievement for a modern cow. But to produce it at one milking is truly performance worthy of recognition. The quality of the milk itself should add points to the potential employee of the month. There is ample evidence that genetics contribute to low somatic cell count (SCC) in milk. Daughter SCC is one of the many traits one can select for when choosing a bull. Certainly, we’d require our elite EOM to be regularly below a 100,000 somatic cell count. In some herds, we can raise (or lower) the bar to below 50,000. And depending on the market for your milk, cheese yield, which is calculated at local plants to estimate the pounds of cheese each hundredweight of milk will generate, should factor into her merit as well. 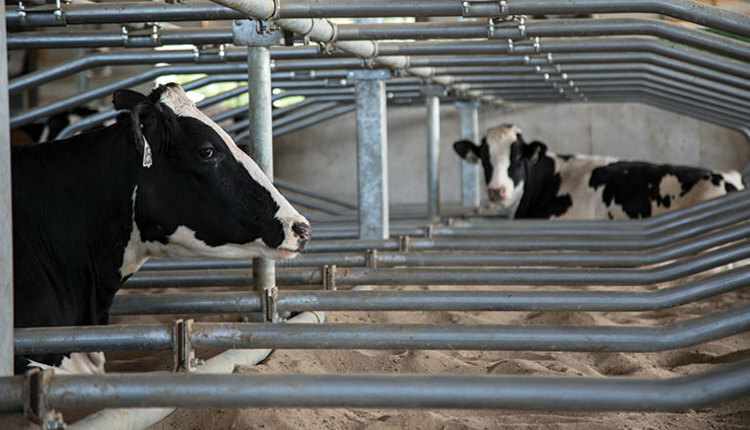 The cow should have components that are high enough to best your herd average. Turning from quality and returning to quantity of milk production, another important metric derived from milk production is her “relative value” (RV). We all listen to songs sung by music industry “one hit wonders” who once recorded a chart-topper but then receded into obscurity. This persistence contributes to the calculation of her relative value, that is, her value to the herd in respect to an average replacement for her, on her milk test report. The RV of my example cow is 140 percent. This documents exceptional, sustained, and consistent lactational performance. Of course, to make milk a cow must calve. Superior reproductive performance not only keeps her in the more profitable range of days-in-milk, but generates more calves in her lifetime. So, we want her to breed back quickly, but not too quickly. To do so in second calvers risks “sophomore slump” or heifer burnout due to the temptation to shortchange her dry period length. Let’s set a goal of getting the older cow bred back in time to calve her back in again in a little over a year. Our elite cow will likely have a days open of 100 days or less and a services per conception of two or less. And while Napoleon famously stated that “an army marches on its stomach,” the dairy cow marches on its feet. 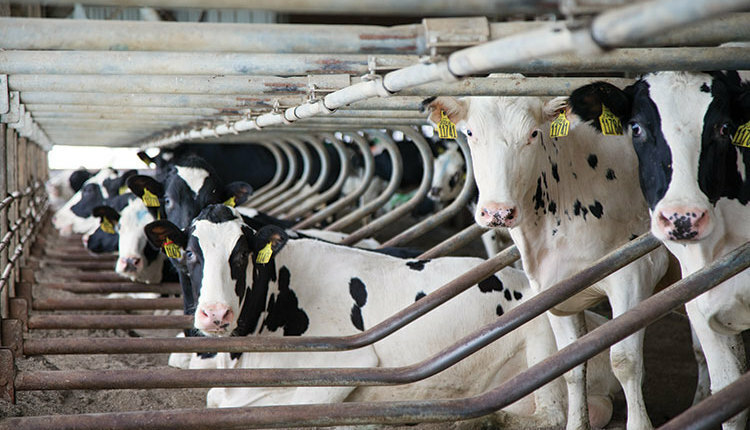 Lameness episodes are a major welfare concern and cost milk and reproductive success. With lameness rates approaching 40 percent, it’s the rare cow that escapes from a sole ulcer, hairy heel wart, or other foot pathology. Our star employee will be sound, with correct leg and foot conformation. The cow requires healthy feet to tread the many yards of concrete to the parlor and to graze efficiently. And just like great-grandma, now 95, who claims she was never sick a day in her life, healthy cows tend to remain as healthy cows, lactation after lactation. Often we will notice and admire these cows and wistfully say, “I wish I had a herd of cows like her.” With the advent of genomics, some day we may. We are only just beginning to tap the vault of the potential contribution of genetics to health. Metritis, mastitis, and even LDAs (left displaced abomasums) seem to have a significant genetic predisposition or component. Like human Nobel Prize winners, the employee of the month Holstein likely has her sire and dam to thank for much of her success. We in production animal medicine tend to focus on how the herd is performing. 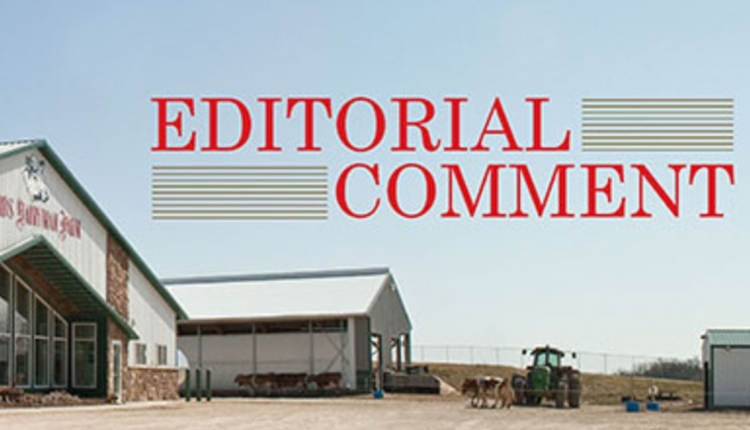 Any vet worth his or her salt will extol the herd with a 100-pound average for Holsteins, the 30 percent pregnancy rate, or the 100,000 SCC. But we need to remember that each herd is made up of component parts, the individual cows, which make up the sum of the whole. It’s not hard to find cows that excel in one or more of the categories. But to find one that excels in all is not so easy. I encourage you to seek out and recognize these elite “employees” from time to time. Celebrate the outliers, the 99th percentile animals that keep exceeding boundaries and redefining “exceptional.” Whenever I read of the latest individual cow production record, I remind myself that someday these will be average cows, with entire herds milking at this level. 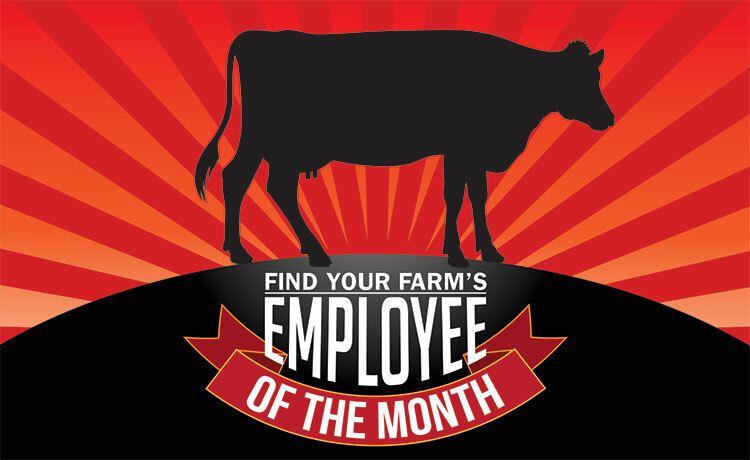 So, when you next have your most recent milk test results in hand, and after looking at herd averages, take a minute to identify, recognize, and celebrate the star herd member that is truly your employee of the month. Perhaps bed her tie stall a little more generously, speak softly to her, and scratch her tail head when you pass by. Unlike her human counterparts, she’s unlikely to get a swollen ego and ask for a raise. This article appears on page 79 of the February 10, 2017 issue of Hoard's Dairyman.